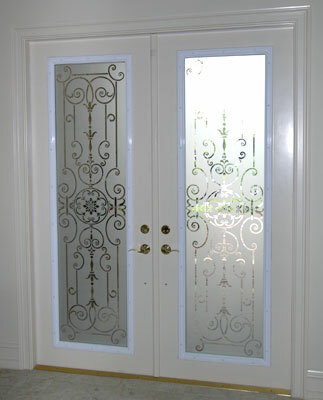 Etched glass goes by a many names, such as frosted and sandblasted. Each term actually describes a different process, but the results are similar - glass with a white-tinted pattern that obscures and diffuses light. 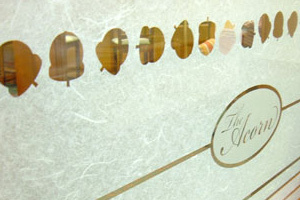 We offer true acid etched glass, as well as custom sandblasted, frosted film, and ceramic frit. The best process to use depends in large part on the project specifics. 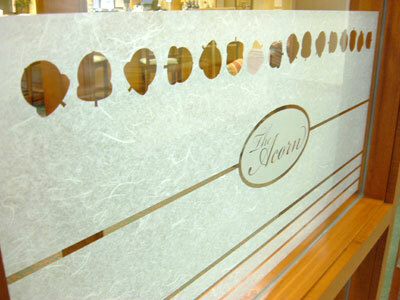 Etched glass can be as simple as frosting a surface for privacy, or as involved as rendering letters, logos and images. 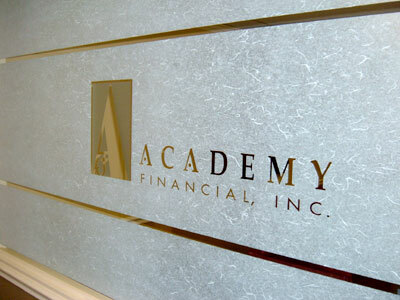 There are a variety of ways to achieve this look, from true etching to sandblast to film. 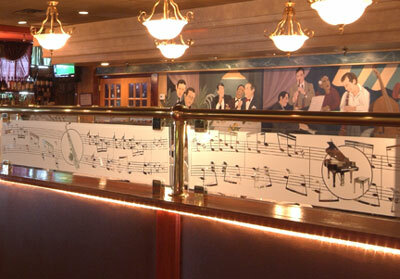 There's even a ceramic frit application that can yield shading and color. 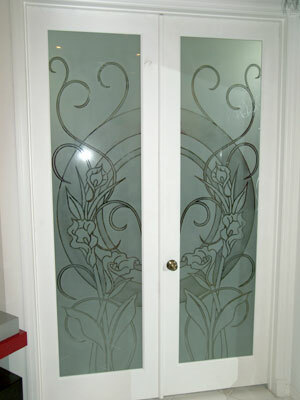 Etched glass can be combined with our other glass options, such as decorative laminated and backpainted glass. Sandblasting a design through the silver coating of a mirror creates a mirror with a translucent pattern - an excellent idea for a lightbox. 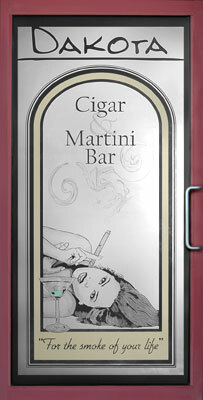 If necessary, etched glass can be fabricated to conform to safety glass standards.